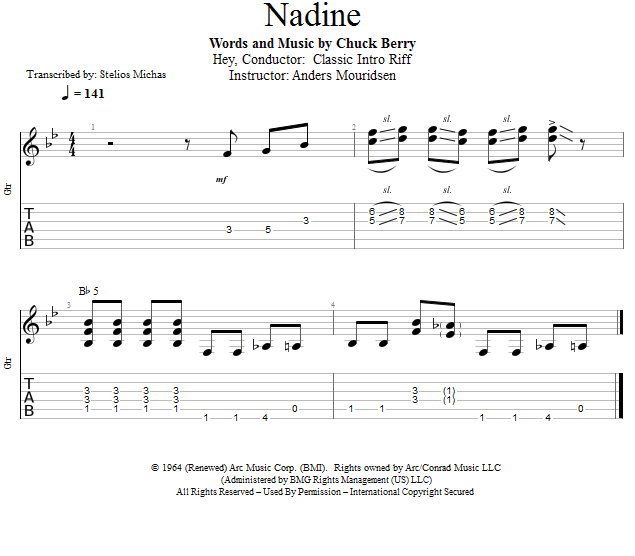 In this first lesson I'll show you how to play the classic guitar riff that opens the song. The guitar plays a unique one bar lick that only occurs once in the song, and then the band comes in for 2 bars and the guitar changes to the verse riff. The song is in the key of Bb, and the lick is based off of the pattern that you may recognize as G minor pentatonic, because G minor pentatonic contains the same notes as Bb major pentatonic.